There’s something special about being a maker. Sure, you can go out and buy pre-made goods and save some time, but it’s so much more satisfying to make it from scratch. Have you felt that feeling of accomplishment when you make something of your own? Isn’t it that much more special to give or receive gifts that were made by hand? 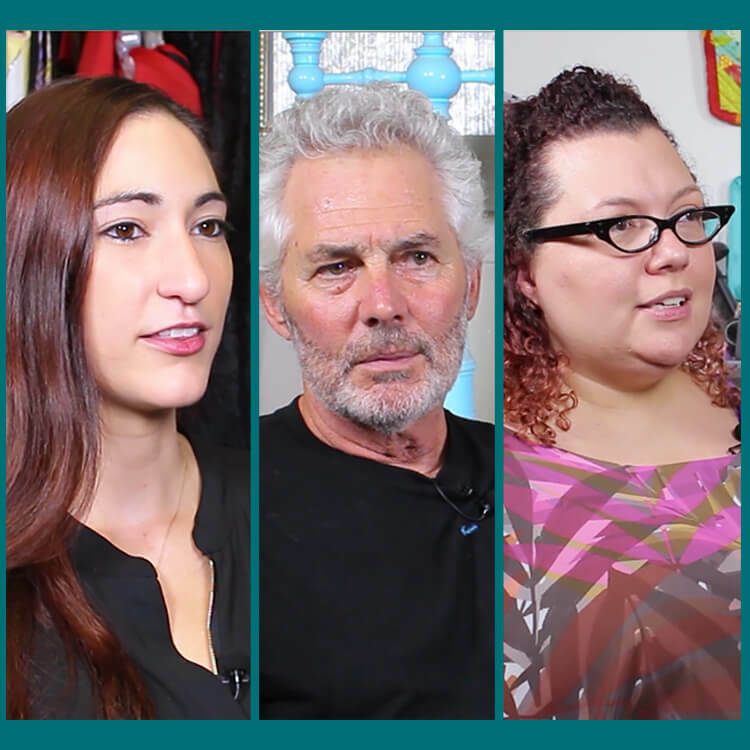 Meet Jamie, Nicole, and Doug and find out why they love what they make. Jamie Bourgeois is the owner of Bourgeois Baby. After 14 years in the healthcare profession as a registered nurse and certified nurse midwife, Jamie decided to become a stay at home mom after the birth of her daughter in 2011. It wasn’t until her baby girl started eating puree baby food and making a mess everywhere that Jamie had an idea of the perfect bib that could make the mess more manageable. Click here to learn more about Jamie Bourgeois. Nicole Wzorek runs her own fashion design and alterations business at her studio that is located above her family’s barn in her hometown where she grew up. She always knew she had an artistic side and decided fashion was the outlet for her creativity. After attending college where she studied fashion, she decided to start her own business that is focused on evening wear and bridal. Click here to learn more about Nicole Wzorek. Doug Yeiter is a founder and owner of Art Applications, which manufactures and finished custom furniture for the design trade. They’ve been in business since 1989, offering specialized traditional styles as well as modern transitional designs. One of Doug’s specialties is fabric wrapped furniture. He loves being able to create pieces as a collaboration with customers and designers.